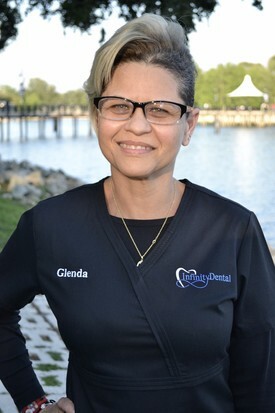 Glenda has been a Dental Assistant for over 20 years. Glenda has a passion for work in our Dental Lab, to help develop a brand new smile in all of her patients. In her free time she likes to do hair and cosmetology, and enjoys watching movies on Sundays. Janina has been a Dental Assistant for over 20 years. Her expertise in this area allows her to excel in surgical dental procedures. Janina is a people person and enjoys working with children. In her free time she likes to surf, do yoga, and spend time with her loved ones. 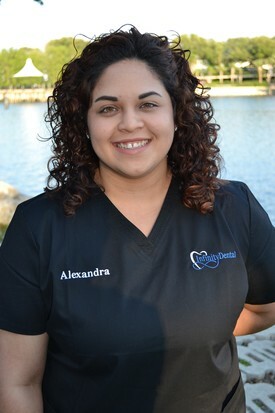 Alexandra (we call her Sandy) is our newest Dental Assistant. She has been fascinated with Dentistry ever since she was 8, when her mother, Glenda (one of our Head Dental Assistants) introduced her to it. Sandy has a love for learning and has immersed herself in the world of Dentistry. Sandy likes to spend time with her husband and her two Yorkie babies, Toby and Sophia. Alexandra is currently on maternity leave caring for her beautiful baby girl. She will begin working with us again later this year. After 10 years she changed her career to Dental Assistant, and loves that she can continue helping people by giving them a new smile and relieving pain. 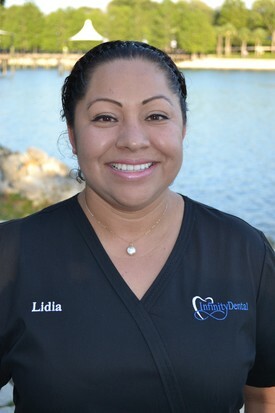 Lidia loves working alongside Dr. Patel and her work family, giving patients the care and attention they deserve. 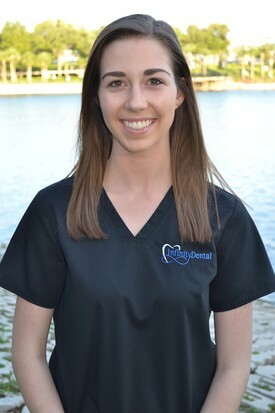 Julia is currently a student at UCF studying Biomedical Sciences, with a goal of becoming a Physician’s Assistant. Julia has always led a passion for helping others and loves seeing patients smile. As our newest friendly face in the front office, she will always greet you with a warm welcome and a smile. In her free time she studies with friends, babysits, and loves going to church and the gym.